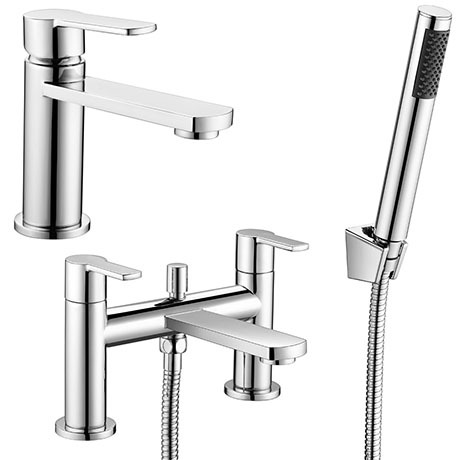 The stunning Brooklyn Modern Tap Package, this stylish taps are a great way of adding luxury to bathroom. The Brooklyn round contemporary tap range features a stylish lever design, and it is ideal for a modern household, it has exceptionally easy functionality and has a great design to suit any bathroom. Includes a shower kit consisting of a hand held shower handset, wall bracket and flexible hose.